Can you answer these twenty spooky questions based around Barry Dodd's love of the paranormal and his tales of the most famous haunting cases of all time? All the questions in this quiz revolve around the first series of the The ParaPod. The game also includes questions about Barry's famous rituals, which his co-host Ian Boldsworth was forced to sit through at the end of each episode. 1. According to Barry, Chillingham Castle is haunted by the ghost of John Sage, but after being injured in battle with the Scots, what nickname was this famous soldier given? 2. In Barry's 'One-Man Hide And Seek' ritual who was the "first it?" 3. 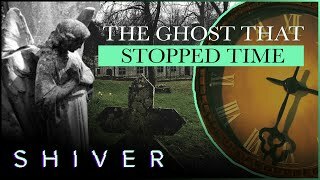 Barry once took us on a virtual taxi ride around Pluckley in Kent, what does he tell us happened at the supposedly haunted Crossroads Bridge? 4. In the ParaPod Halloween Special, Ian and Barry spent a night at 30 East Drive in Pontefract, but what was the name of the neighbour they interviewed? 5. In which haunted hotel did Barry have a very memorable night in room 28 with a man called Neil and a video camera? 6. Before burning down, Borley Rectory was said to be the most haunted house in England, but who did Barry tell us investigated the paranormal activity there in the 1920s? 7. 30 East Drive is one of the most famous poltergeist cases in the world, the house is said to be haunted by the Black Monk of Pontefract, but what nickname did the family who lived in the house give him? 8. When performing the ritual 'Musical Chairs Alone', what eerie song does Barry recommend you play? 9. Barry is convinced that Elisa Lam was "possessed" in a video which showed her moments before she was sadly found dead at the Cecil Hotel in L.A. But what does Ian think is a more likely explanation for her behaviour? 10. After Barry played the audio of the famous voices from the Enfield Poltergeist case, who did Ian joke that the poltergeist sounded like? 11. During his tour of Pluckley, Barry told us about the Pinnock, the former site of a windmill that burnt down where the ghost of a miller is now seen, but under what conditions? 12. Which ritual did Barry speculate that Elisa Lam might have been taking part in? 13. In one episode Barry told us about the true story behind the 1982 movie, 'The Entity', but what was the name of the of the woman the case was based on? 14. Barry once called the office of a tourist attraction to confirm his belief that it was haunted. He was told he was "sort of right," but what was the haunted location? 15. 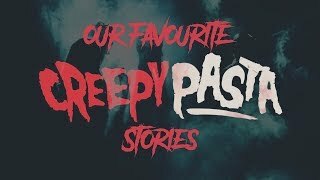 Where did Barry have his first ever paranormal experience at the age of 15? 16. For their trip to Pontefract, what did Ian dress as upon arriving at 30 East Drive? 17. At the start of the first ever episode, Barry confesses that he once heckled which famous medium during a live show? 18. Which haunted location featured in the series does Barry make a paranormal pilgrimage to for his birthday each year? 19. According to Barry, which newspaper was the first to pick up the story of the Enfield Poltergeist? 20. Barry firmly believes that the ghost of which notable figure from history was captured on CCTV at Hampton Court Palace?